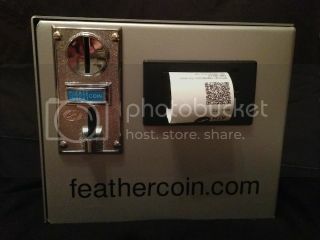 A voucher is printed containing a private key QR Code that has been pre-loaded with the correct value of Feathercoin for the denomination deposited during the setup stages. Designed to work with any currency taken note or coin that outputs a number of pulses per denomination deposited. Where possible links are to retail type stores and not to eBay as listings come and go, but donâ€ t be scared to get out there and hunt these things down, eBay is a great place to start and as projects move on for me check out the Feathercoin Market Place as I will be listing old hardware on there from time to time. I have no affiliation with any of these stores, but I have tried to use the fewest amount possible to reduce postage costs if you just want a point and click solution. Power Connector - I used this as it provided some polarity check on the input from the PSU, get it the wrong way round and all of a sudden the magic smoke will come out of a lot of the components as your giving them +12v instead of +5v you can use the normal pins listed below if you like, but make sure that you connect the FDD connector the right way round or the smoke will be out and things will never work again! 2.54mm Pin Strip - Used to enable the reuse of a lot of the components, also handy for adding to the RTC Shield to avoid direct solder connections. SD Card - Anything will do here, it doesnâ€ t have to be fast and the size depends on how many QR Codes you want to store on it without topping it back up again. There are a few software components needed to get everything up and running, again I will use external links where possible but please be wary of software version numbers as a few of the problems caused during testing where caused by incompatibility between versions. 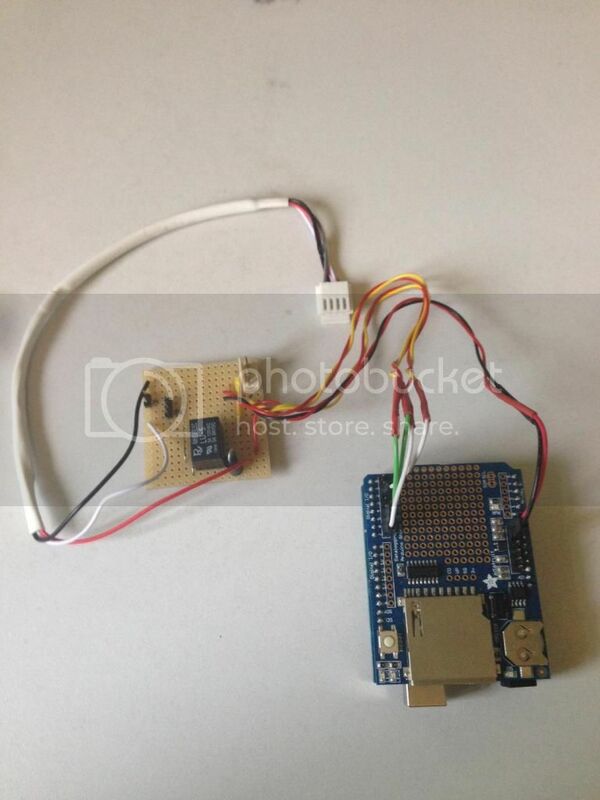 Arduino - http://arduino.cc/en/Main/Software#.UyWNcvl_sbg at the heart of the ATM is an Arduino, I used version 1.0.5-r2 for the testing and setup. OpenFeathercoinATM on github - https://github.com/uncle-muddy/openfeathercoinatm the final version used for the project at launch, Iâ€ m not going to say that the code is tidy, infact I would go as far as to say itâ€ s a mess. But it does work. openbitcoinatm on github - https://github.com/mayosmith/openbitcoinatm the work of John Mayo Smith and where it all started. 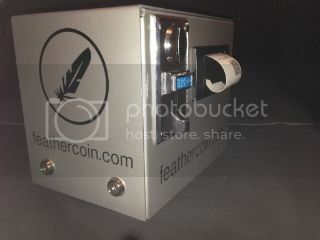 The original openfeathercoinatm on github - https://github.com/spynappels/openfeathercoinatm the original work carried out by spynappels to get the project off the ground and fork the ATM from Bitcoin to Feathercoin. 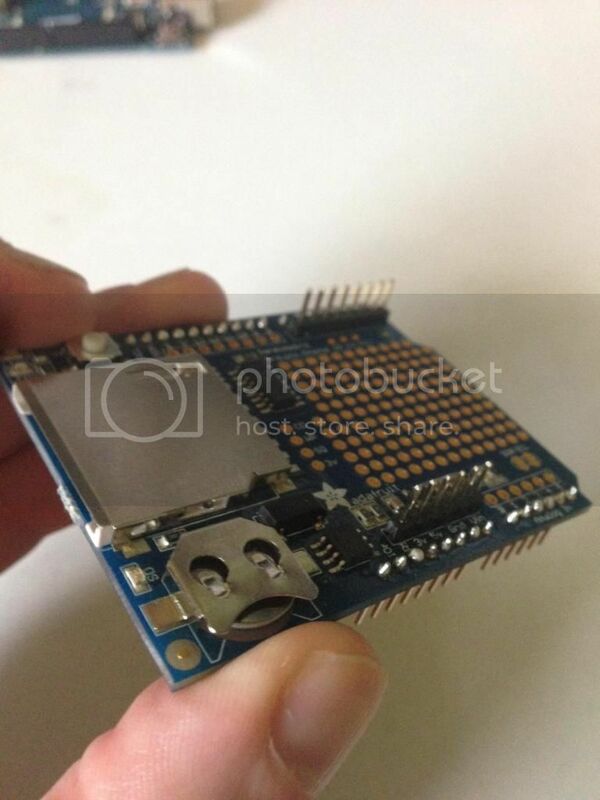 You’re going to need basic soldering skills for this. Itâ€ s not difficult take your time and double check everything! My original interest in electronics came from my grandfather, god rest his soul, he taught me a few things along the way and Iâ€ would like to share a couple of them with you now. After you think you have finished soldering it all together, donâ€ t get excited and plug it in straight away. Go and do something else for 10 minutes, come back and check it again. 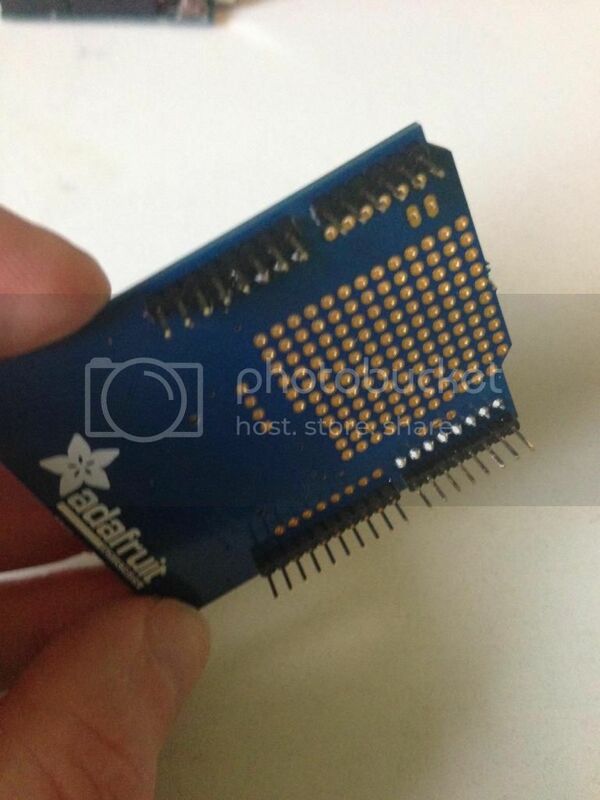 If you’re working with matrix board, strip board, vero board (or whatever itâ€ s called in your country) take a small flat bladed screwdriver and run it up and down between the tracks of the board before you connect anything, after doing this, check track to track that you donâ€ t have a connection with a meter. There are now two tracks next to each other in this layout that will meter out as a short circuit, so for the sake of a couple of minuets test all the tracks, a short in the wrong place will dump +12v into a +5v component and the smoke will come out! If you look at the revisions of the code you will notice that a Pin number changes and stays changed, the reason for that is +12v down a +5v output track on the Arduino, lucky escape on my part as it only fried that Pin and not the complete board, but consider yourself warned! circuit_diagram.png show the schematic layout of what should be going on, again all of the Pins are configurable in the code, so anything on the Digital I/O side of things can be changed if needed for your implementation. 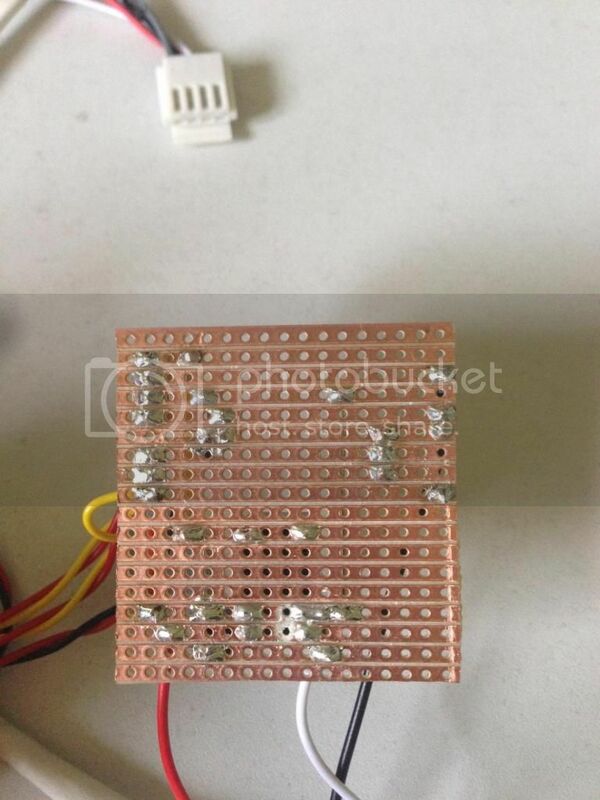 circuit_layout.jpg shows the component layout on the matrix board, this is looking down from above with the copper tracks on the underside of the board, and the components being placed on the upper side. As you can see I used a 16x17 section of board, it could be condensed into something a little smaller, but it just gets to fiddly for me to deal with. Solder the link cables in 1st, itâ€ s so much easier if you put all of these in first before you have other components in the way stopping you from laying the board flat. Pin 1 of the multi pin connectors is designated by the square on the layout diagram, and in my layout they are always to the north edge of the board. If you get D1 in the wrong way round all that happens is the relay does not switch when you run out of QR Codes, so if this is your problem investigate the orientation of D1 1st. The two â€œXâ€ on the diagram dictate that you need to cut the tracks at this point, I find a 3mm drill bit takes care of this. You’re not aiming to drill though the board just to cut away the copper connector, once done check with a meter either side of the break to make sure the track is open circuit across the break. Take the RTC sleeve, the one I purchased required you to solder on the pin strips to allow connection to the Uno, as you can see from the photos, we added additional pins to the sleeve for the connection of the circuit board. Push the sleeve onto the Uno and install the battery in the RTC if required, as I discovered the RTC on the board I purchased did not function without the battery being installed. 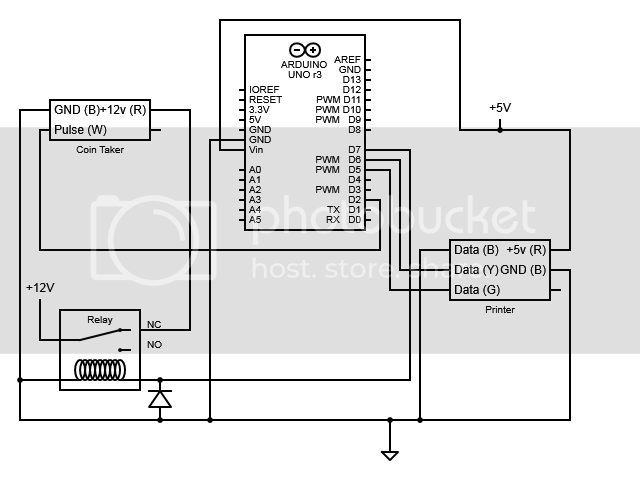 Make the required connections to the Arduino/Sleeve setup as per the circuit diagram, if you’re following the deisgn we have you should have six cables between the circuit board you made in step 1 and the Arduino/Sleeve setup. 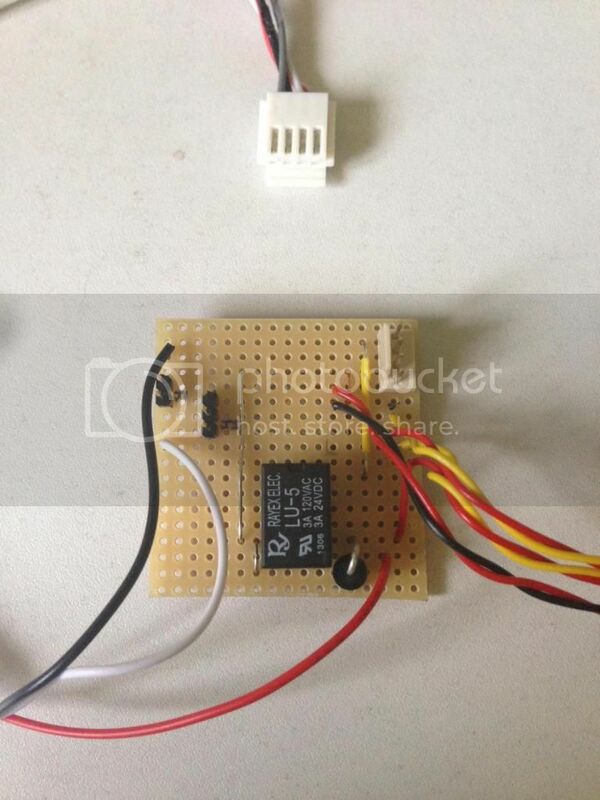 Connect the circuit board to the PSU 1st and then connect the Arduino to the USB port, do it in this order to avoid damaging the USB port on your computer by drawing too much current from it. Remember that once the sketch is uploaded the USB connection to the computer is no longer required. This stage is gong to be different if you’re using something other than the CH-926 Coin Acceptor, so Iâ€ m not going to write a step by step guide for it here just talk about the concept of how it works. The info for the configuration is widely available on the net and it was a very simple setup. We want the correct number of pulses to come from what ever is taking the FIAT for the number of coins pre loaded onto the private keys. In our case we where using Â£1 coins for about 5/6 FTC at the time. 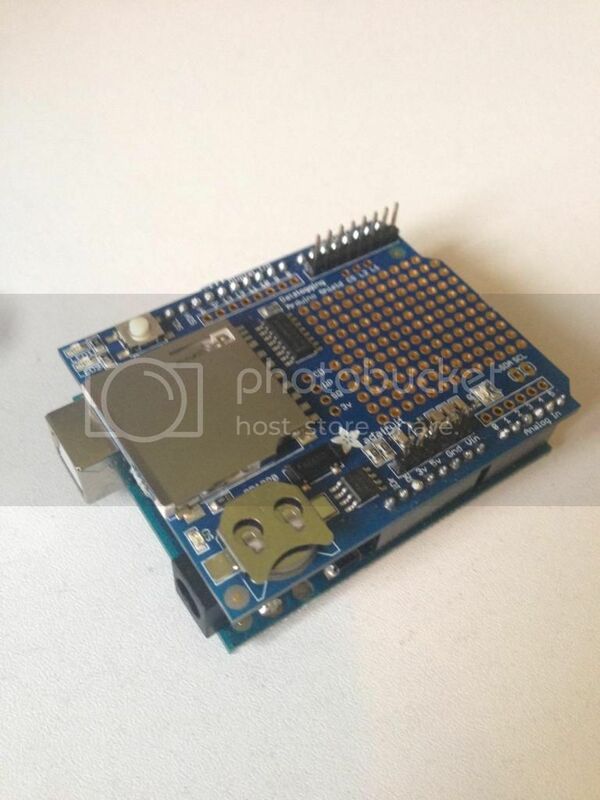 The number of pulses is counted by the Arduino through pin 2 on the board, when the number of pulses received in a 2000ms period equals that configured within the sketch then the magic happens and a voucher is printed. All of the above is configurable within the sketch, there is info in the Quick Config section below giving you the details on which lines control this, so any FIAT taken should be configurable to work with the ATM providing it has a pulse output. You’re going to need 1 QR Code for each vend, each QR Code represents the private key for the public address. I havenâ€ t got round to writing the shell script to do this yet, but itâ€ s on my list of things to do. Until I get around to writing the script to generate the codes for you, here’s a little guide. Get yourself an air gapped wallet, use something like virtualbox remember not to add a network card to the virtual machine as you’re not going to need it and also this way it’ll stay totally air gapped. 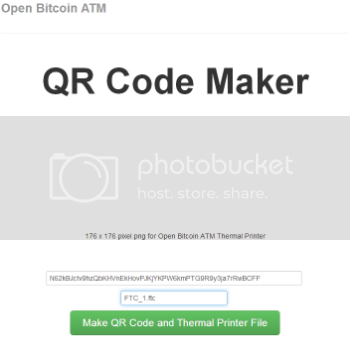 Download thefethercoin wallet application and the BitcoinQRMaker to a USB key, then mount that USB to the virtual machine. Install the Feathercoin wallet on the virtual machine, and launch it when complete, it’s not going to sync as you’re not connected to the network. Don’t worry about it this is fine. Go to the debug window, via the task bar menu option “Help” and selecting “Debug Window” from the drop down list when the window opens click on the “Console” tab. getnewaddress ‘account’ - does just that, creates a new address in the wallet. dumpprivkey ‘address’- dumps the private key for an address, the bit we need to make the QR Code. As you can see the private key for the address is N62kBJctv9hzQbKHVnEkHovPJKjYKPW6kmPTG9R9y3ja7rRwBCFF and it is this output that we use to generate the QR Code. Repeat the above for as many keys as you want at the time, and remember that you need to add funds to the public address for the private keys, so that when your “customers” scan their vouchers from the printer, the funds are on the blockchain waiting for them. If you’re testing if things work, you can copy and paste a single QR Code just incrementing the file name each time. The following lines of code in the sketch are the very minimum you should consider changing before putting your ATM into action. line 14 number of pulses required to indicate correct denomination of FIAT. line 15 pulse time out, this should be aligned with your FIAT taken documentation. line 16 number of keys on a card, set this to equal the number of codes you want to print from your card before stopping, it should never be higher than the number of codes on the actual card. 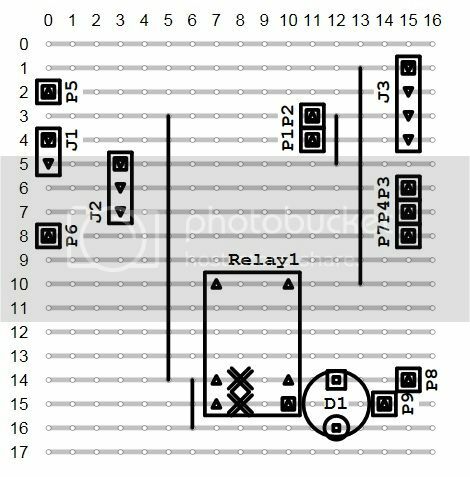 line 33 defines the pin number used to provide a signal the the coin control relay. line 178 prints the value in FTC that has been added to the voucher, either change the value or comment out the line. line 190 - 204 print the time, date, and file name on to the bottom of the voucher, added during the testing phase but could be removed now if you like. If you’re stuck and need a little help or guidance get yourself over to the Feathercoin forum, Iâ€ m logged in most days and will do anything I can to help you out, and to keep you going a couple of photos of the finished item. K - for her love and support no matter what Iâ€ m doing. Kevlar - for providing the link to the initial code and idea to port to Feathercoin. spynappels - for providing the 1st fork, and encouraging me that coding isnâ€ t so bad. MrWyrm - for his ongoing encouragement and support throughout the life of the project. motherlode1 - for spotting the stupid mistake in the code allowing the crossing of the finishing line. Ruthie - for her editorial role on the above document. toftat - my brother for answering stupid questions at silly times of the day and night. toftdp - my farther, my mentor and my business partner for working on the case design and manufacture for me. And a lot of other people over at the Feathercoin forum, for ideas and support, I feel this wonâ€ t be the last version and it will be revisited many a time. While every care has been taken in compilation of this information, I will not be held responsible for any loss, damage, injury or inconvenience caused as a result of inaccuracy or error within this information. Any views or opinions presented in this information are solely mine and do not necessarily represent those of feathercoin.com or other individuals. Wow that is amazing feat of engineering, ingenuity and perseverance. Thank you for showing what can be done if you have the determination to follow things through. Wow, look at that shiny box! It’s awesome! And your devotion is incredible. But is there any way you can add a credit card reader and net access? Would there be any reason for a business not to seriously consider taking FTC as a method of payment? I think that is the idea… but I’m not sure what UM is up to… he is quite silet lately so I’m sure he has a “bomb” hidden and he’s waiting the right timing to throw it! innovation is not that easy to be digested by the average (typically conservative) small shop owner. This topic is also being discussed on bitcointalk here. I like the idea but how do we automate it to do the private key hashing auto magically? Dollar bill readers anyone? Credit cards? I think we need to commercialize on this fact that cryptocurrencies arent going away anytime soon.Allowing purchase in Feathercoins at same location helps. And then theres the funding of the ATM. Does it come from personal wallets or is there some magic wallet holding all the FTC? I can see a disadvantage in personal wallets. @uncle_muddy Great work, deserves a bump.